Samsara - Blank Canvas Design Co.
Samsara is a line of performance apparel for indoor cyclists. 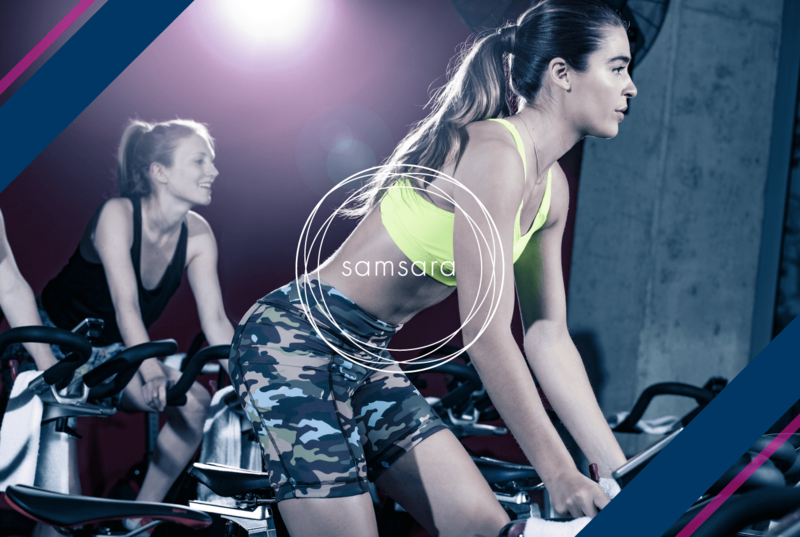 Seeing a lack of functional yet fashionable spin apparel in the market, Samsara contacted us to help them with their brand strategy and launch of products. We created a comprehensive brand strategy and identity to appeal to their target audience. The challenge of this project was creating an identity that represented both functional performance (in the construction and materials of the apparel design), and style for personal expression. 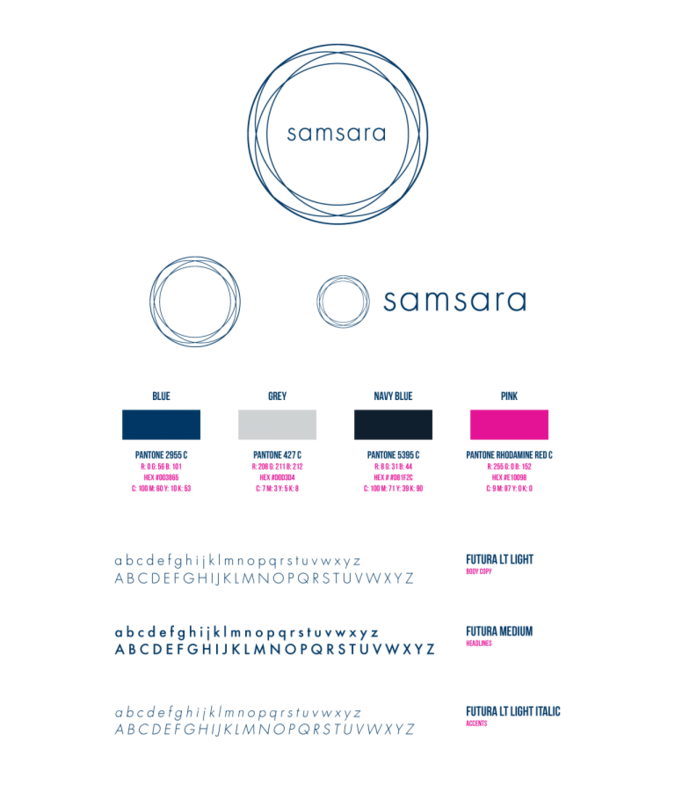 The resulting identity is minimalistic and uniform, depicting the movement of spin and the concept behind the name Samsara, a Sanskrit term for ‘life cycle’. 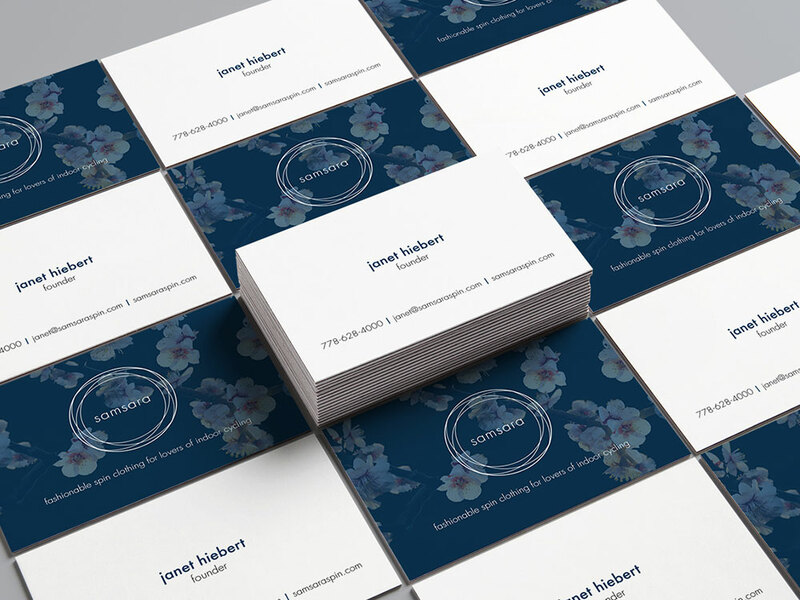 The identity is applied to digital and print applications, clothing tags and labels, and marketing initiatives. In addition, we also supported the company in designing a set of custom proprietary prints to be used on their clothing designs. The prints are bold, fun and stylish, just like the brand itself. 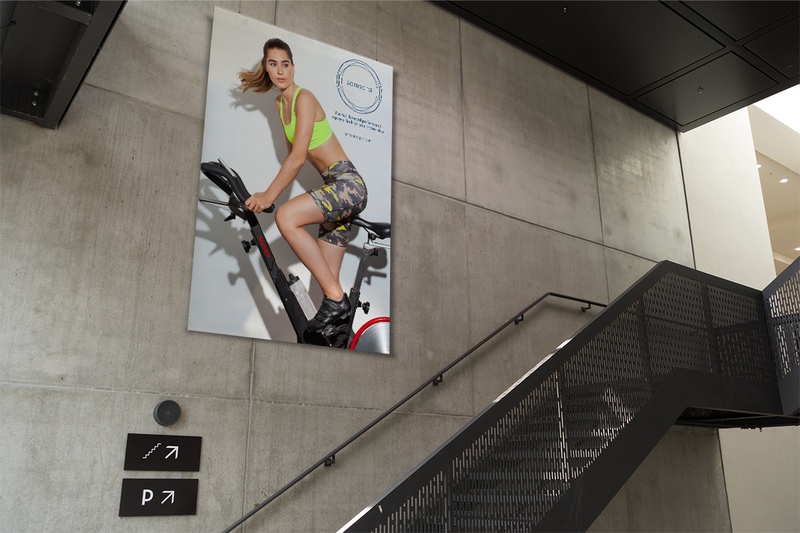 Fashion forward performance apparel built for your indoor ride.